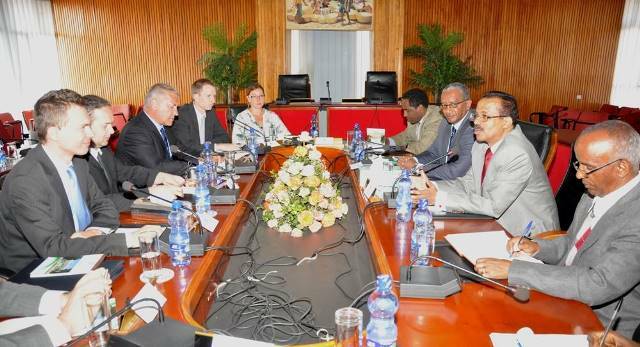 Djibouti (HAN) nApril 25, 2015 – According to the ENA, Ambassador Berhane Gebre-Kristos, State Minister for Foreign Affairs, on Friday (April 25), held talks with a Parliamentarian Delegation from the Czech Republic. 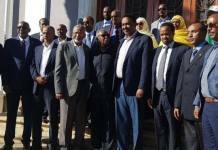 Ambassador Berhane praised the long and historic relationship between the two countries and said their continuing dialogue on bilateral, regional and global issues was a testament to their strong cooperation. working in the health, education, water, agriculture and sanitary sectors and that Ethiopia was one of the top three priority countries for the Czech Government’s development cooperation program. expected to meet other government officials. One of Geeska Afrika online reader said, the way to communicate with developed countries are essential to our development.